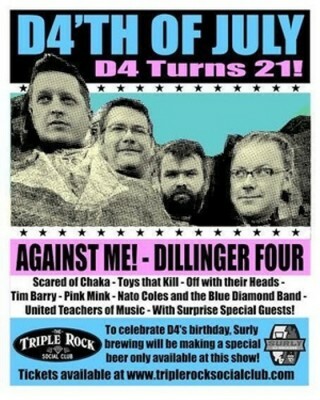 Surly Brewing is debuting a new beer at the D4’th of July birthday bash show with Dillinger Four this Saturday at the Triple Rock Social Club in Minneapolis. Surly thought a new summer beer was the perfect way to toast both birthdays at one great event. More Surly beers will also be on tap. Doublewhiskeycokenoice from Dillinger Four on Myspace. #MERICA! is a true ‘Merican beer – a pre–Prohibition American Lager with soft hops aromatics (probably Cluster) that is brewed with flaked corn, giving it a light–bodied subtle fresh corn flavor, 6% ABV. 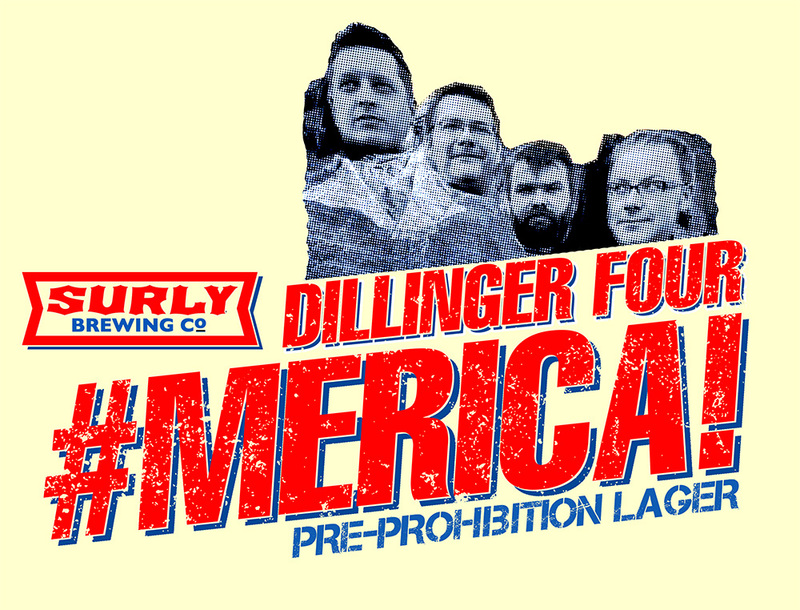 A summer beer perfect for celebrating ‘Merica and 21 years of D4. It is unknown if #Merica! will be one-off, draft only, or appear in cans at some point. Let’s hope they drop the cheeky hashtag from the name and put it in cans. Personally, I would have gone with the traditional ‘Murica! spelling. But you know those Surly guys, always breaking from tradition.